After being first developed in the United States in 1942, Desoxyn was manufactured and marketed by Abbott Laboratories as both an immediate-release tablet. Later, a sustained-release formulation (in the form of a plastic-matrix tablet), "Desoxyn Gradumet," was also distributed. Abruptly, however, Abbott discontinued production of the Gradumet form of Desoxyn in Fall, 1999, citing "manufacturing difficulties" as the reason for discontinuation. In 2002, Abbott sold their rights to Desoxyn to Ovation Pharma, which took over production and marketing of the drug (although initially, Abbott maintained production at their facilities). Able Labs produced a generic formulation of methamphetamine at a lower price than brand-name Desoxyn, until the company went out of business. Because methamphetamine, the active ingredient in Desoxyn, is reported to be effective longer and fifty percent more effective per dose than amphetamine, for example, prescriptions for this drug may increase as ADD/ADHD treatment increases and as long-term users of other treatments gain tolerance to the other stimulant drugs used to treat ADD/ADHD. A typical initial prescription is 5mg (the lowest available single-tablet dosage), titrating upward weekly to determine the most effective dosage, if necessary. 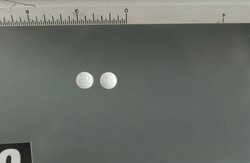 Generally, the recommended uses of Desoxyn are similar to the other amphetamine-class stimulants (such as Adderall, Dexedrine or methylphenidate, for example). Because of the enhanced potency of methamphetamine (the active ingredient in Desoxyn) relative other stimulants of this type, Desoxyn is often used as a "second-line" medication when the "first-line" (i.e., most commonly prescribed) medications have been found deficient. Further, because the secondary effects of methamphetamine are least among the amphetamine-class stimulants or methylphenidate but the highest degree of primary effectiveness (i.e., most effective at enhancing concentration and decreasing distractibility, with the least occurrence of side effects), Desoxyn can be useful for patients who find other medications ineffective or for whom the side effects such other medications are too severe. The greater primary effectiveness of Desoxyn is believed to be caused by the extra methyl group of methamphetamine which is lacking in basic amphetamine, which may increase the solubility of methamphetamine in lipids (and therefore be more deeply and thoroughly absorbed into the fatty tissue of the brain). Similarly to other stimulants, use of Desoxyn is not recommended for patients with heart ailments, or within 14 days of having ingested an MAOI medication. It is also not recommended for patients with a history of psychotic episodes, because stimulants may exacerbate any preexisting tendencies toward psychotic behavior. Central nervous system (CNS) stimulants are medicines that speed up physical and mental processes.